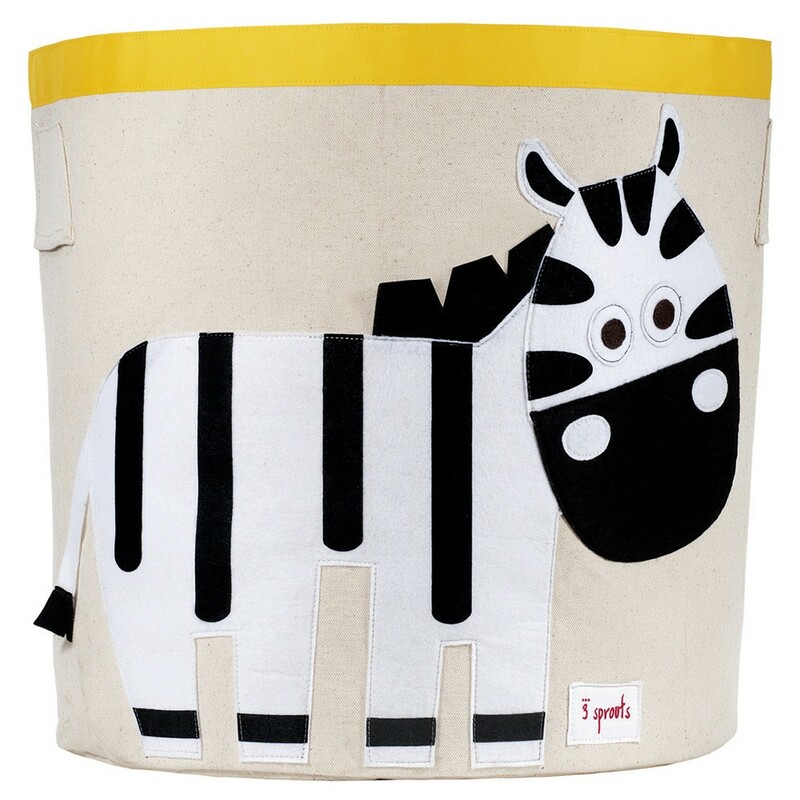 Keep your stuff as organized as black and white Zebra stripes with the Zebra Storage Bin from 3 Sprouts! This adorable Storage Bin is the perfect size for storing toys, books, gear or even laundry. Made from a 100% cotton canvas, this bin is tough enough to hold whatever you may throw in it, but still attractive enough to compliment your stylish home. A great space saver, when not in use the bins fold neatly and can be easily hidden away. The gift of storage is always the perfect gift for babies, toddlers and kids of all ages! 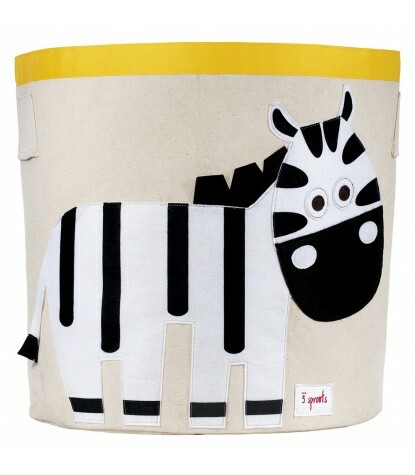 This Zebra Storage Bin features a striped Zebra applique!